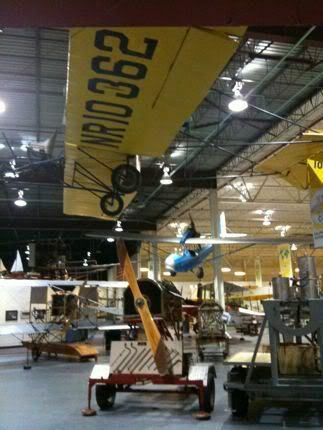 Went to the Glenn Curtiss Aviation Museum in Hammondsport, New York. 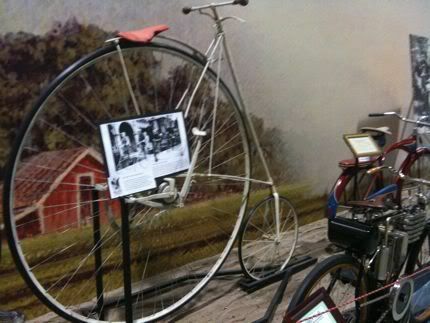 Glenn Curtiss invented motorcycles and airplanes back at the turn of the century. He was one of America's aviation pioneers. 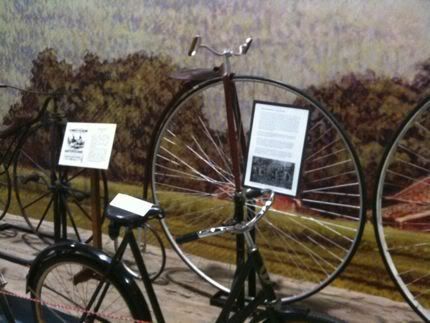 I sort of wish I had gotten one of these bikes instead of my blue one. How memorable would I be, riding that around Washington? 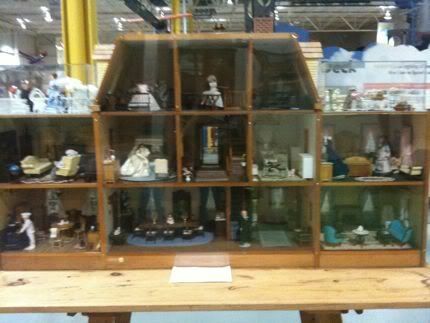 Unlike institutions like the Smithsonian, this museum seemed to rely heavily on donations from members of the community to fill out its collection. 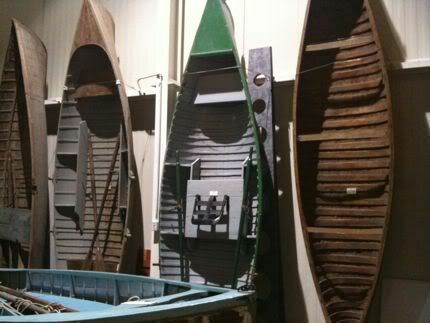 For example, perhaps museum curators would say, "Got some old rowboats? They're a form of transportation, we'll take 'em." 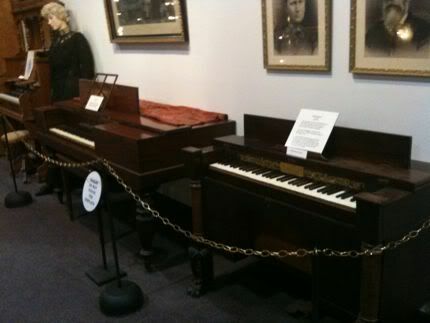 "Old pianos? Well, they are old." 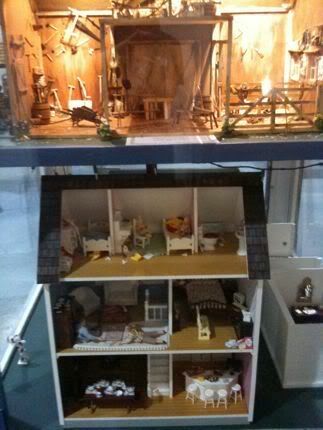 "Some fancy dollhouses? 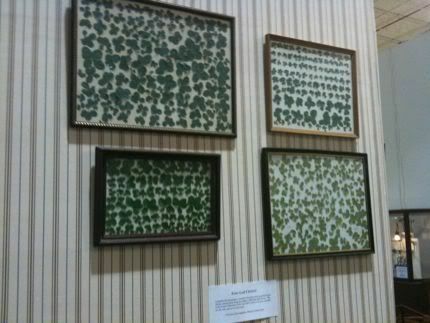 Alright, but this is getting further and further off topic..."
"A framed collection of four-leaf clovers that represents your life's work? [Throws up hands]. Fine. OK. Sure. Whatever." 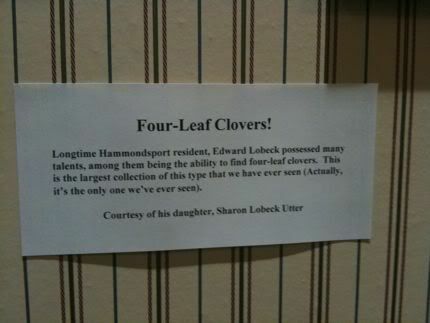 Posted in Travels and tagged with Upstate New York. September 9, 2009 by Adele Chapin.